Flooring is a major consideration in any retrofit project and can be one of the most costly if installed incorrectly. INSTALL and BUILDINGS Magazine partnered for a featured CEU webinar, “Flooring System Success: Get it Right from the Ground Up,” for the facility manager, building owner, architect and designer communities. Support INSTALL by sharing with your customers and colleagues. 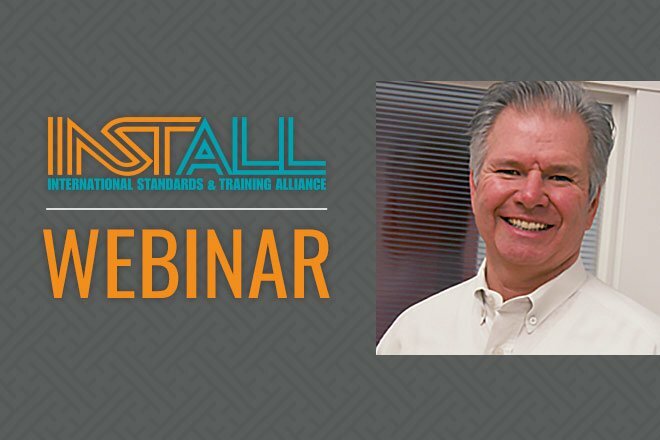 The webinar hosted by John T. McGrath Jr. covers the main considerations of a flooring installation in a retrofit project including proper specification, the critical role of substrate preparation and how to ensure the success of a flooring installation by working with a properly trained and certified floorcovering team.